Next stop, Monterey, home to one of the largest aquariums in the world, a great fisherman�s wharf, and the famous �Cannery Row� � a downtown area of quaint shops and picturesque dining overlooking the bay. 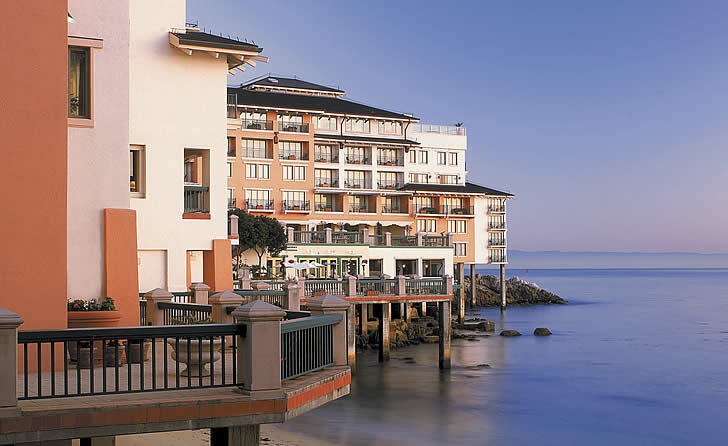 Our choice for accommodations was the Monterey Plaza Hotel & Spa, right on Cannery Row (walking distance from everything, including the aquarium) and perched on a cliff overlooking the bay. 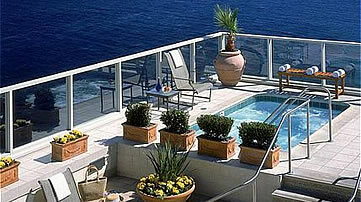 Stunning views can be had by almost every room as well as the restaurant and courtyard area. The spa is on the roof-top, the most spectacular view of all � an outdoor Jacuzzi with a 180 degree of the bay, as far as the eye can see, a roof-top fireplace, and cushy lounge chairs. The massage was one of the best I�ve ever had in the U.S., a combination of Swedish strokes, with reflexology on an as needed basis for certain areas where the tension just wouldn�t quit. 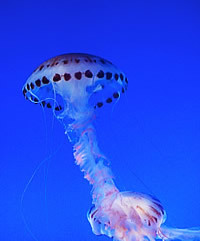 The Monterey Bay Aquarium is truly a marvel, from the huge jellyfish that puff and glide like opaque colored balloons behind the plate glass, to the hundreds of seahorses, some that look more like the vegetation that surround them, others that stand out so boldly as if to say, I dare you to ponder how a marine creature�s head could look so much like an equestrian mammal. If you think I�m exaggerating, go to their site and take a look at the webcams. 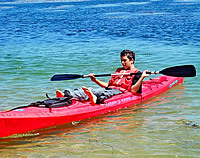 There�s no denying the adventure of it all, for children as well as their tag-along parents. 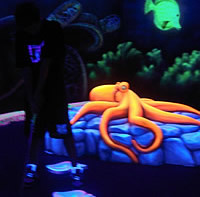 Turns out that �black-light� mini-golf is also a fun family activity. Who would�ve thought? Jonathon Johnson and his partners opened up Oceans 18 Mini-golf and by the glow of black-light sea creatures come alive to turn an average game of mini-golf into a night-time extravaganza. 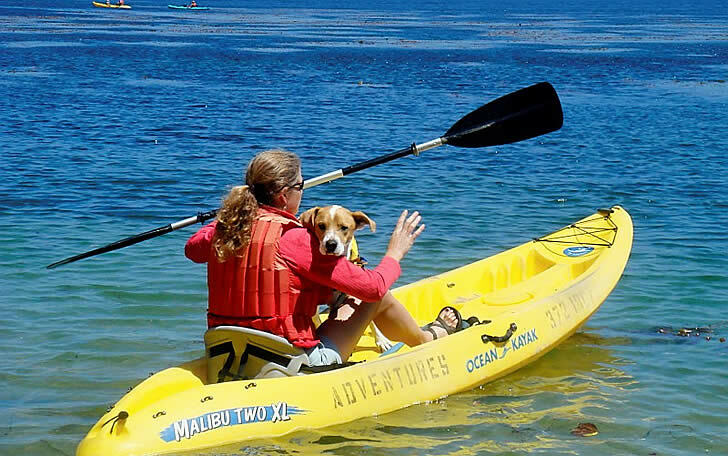 We also greatly enjoyed renting sea kayaks at Adventures by the Sea, and paddled past seals and other sea creatures even closer than the plate glass that separated us from them at the aquarium. Nothing like �live� entertainment; all that was missing was the cocktails.